Samsung's 477 Series Hospitality TVs feature direct-lit LED technology to affordably provide an exceptional in-room experience for your guests. LED uses up to 50% less energy, helping you conserve and save money. Content management is made simple with Samsung LYNK REACH 4.0, while our LYNK DRM technology protects your content. 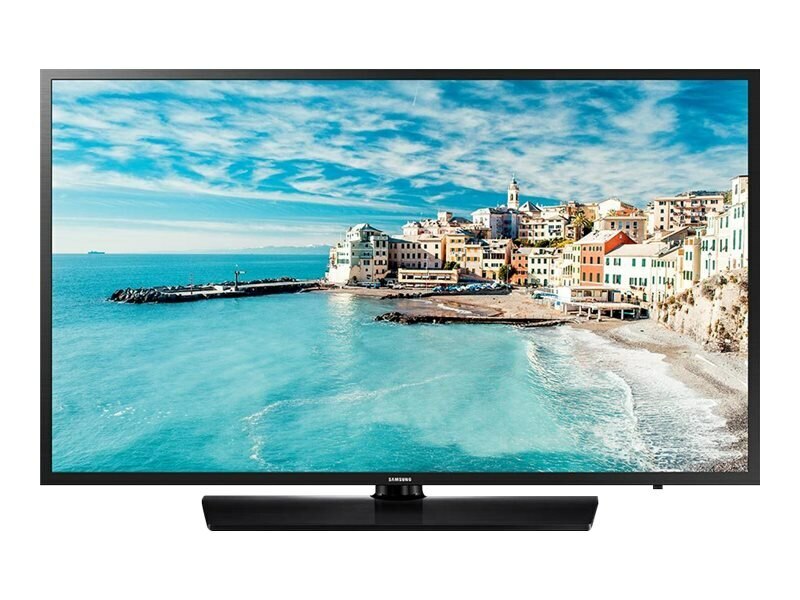 The EnergyGuide label helps you to comparison shop for energy-efficient televisions by providing an estimate of the products' energy consumption or energy efficiency. Samsung’s software-based DRM technology is integrated into the entire Samsung Hotel TV line. Samsung LYNK offers a robust solution to unlock premium HDTV content from content providers such as cable, satellite and VOD providers, with maximum efficiency and security. The 477 Series is equipped with Pro:Idiom MPEG4 technology, making the TVs compatible with most major VOD/PPV systems. You can offer your guests premium HDTV content from cable, satellite or video-on-demand services with no optional cards or external box needed.